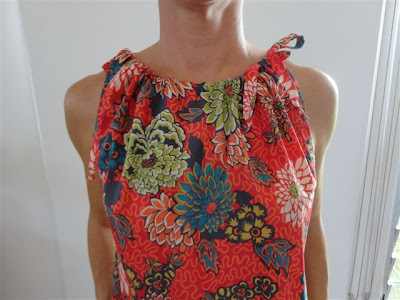 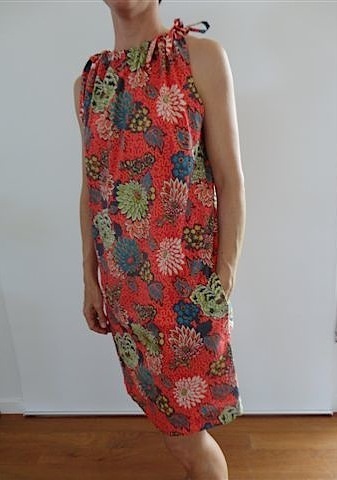 Libby (from Ballina) emailed me images of these great dresses she made up in our Japanese 100% Cotton Pink Ane and Liberty of London Red Chrysanthemum (sold out). 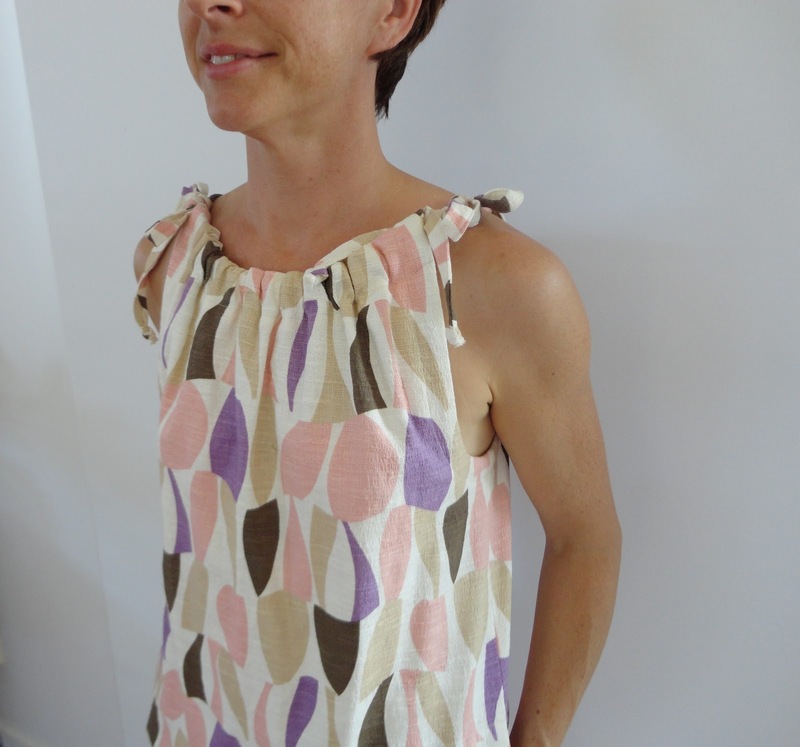 This simple and stylish dress pattern is her own creation, it's just front and back pieces with drawstring neckline and stitched down pockets. Just perfect in a fabulous printed cotton for those hot summer days! Thanks for the images Libby!